You know what they say: eARTh without ART is just eh. 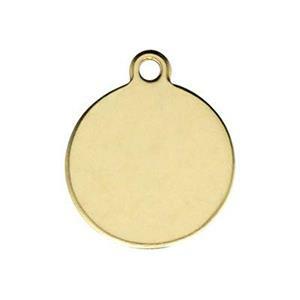 Our GF221 – Yellow Gold-Filled, 24 gauge round tag blanks. Use it as a focal charm or logo tag. Kudos to all you great Jewelry Artists out there that are making our world less “eh” every day! Hang your artwork from one of our finished Gold Filled Neck Chains.